Part of the controversial Obamacare proposal pending in Congress that discusses "end-of-life" counseling and medical procedures that could be rationed based on the age of the patient and other factors was written by suicide advocates who argue openly for the "right" to death, according to reports. The sources for the Obamacare provisions have been documented on a blog for Family Research Council Action and discussed by prominent pro-life columnist Jill Stanek. "Come again that promotion of euthanasia isn't part of Section 1233?" Stanek wrote in her new explanation of the dangers of Obamacare. "Kudos to FRC's The Cloakroom …for drawing attention to the fact that the two authors of Section 1233 are major proponents of euthanasia and assisted suicide." 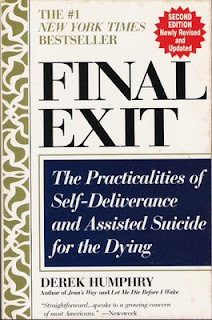 The authors include an Oregon congressman who has argued for assisted suicide before federal courts and an organization that openly boasts it helps "thousands of clients each year by ... guiding their search for a peaceful, humane death...."
FRC Action reports on its website the group "has been getting some heat" for its criticism of the plan.